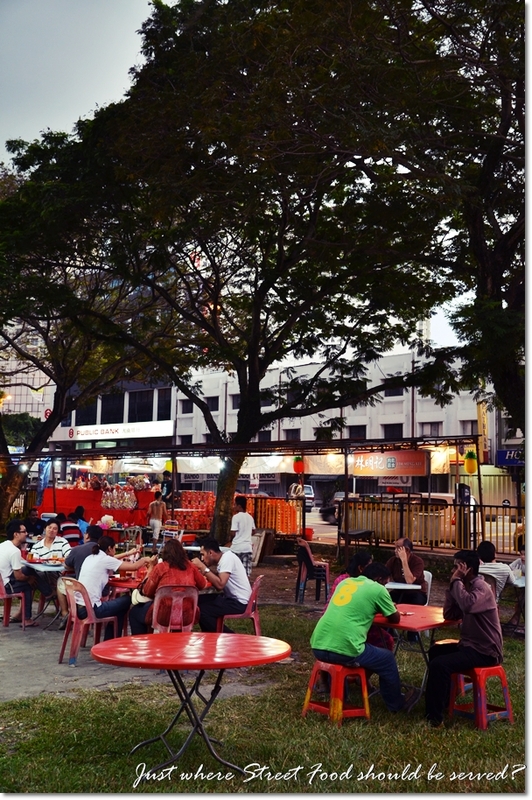 Jalan Ipoh’s Hawker Stalls – Kam Kee ‘Restaurant’. When shirts and ties are strictly a no-no. Firstly, I hope your New Year has been great so far. Mine sure is, but nothing starts slow in this company it seemed. Felt like as though we are already in the thick of things when the year has barely kicked off with a bang. Merely a whimper (post-many MANY long weekends), and the repeated onslaught of lunch appointments, meetings, business reviews and head-cracking have gotten into me. I don’t know how but it’s now half an hour more to Friday. Yeah, TGIF you said? Uh-oh‘s more like it. But the weekend should bring some glorious cheers, optimistic glimpses of rejuvenation and glimmer of hope for potentially supplementing me with enough time to tie up all loose ends from 2011 and prepare myself for the challenging months ahead. Today; pardon Motormouth for feeling a little lethargic. 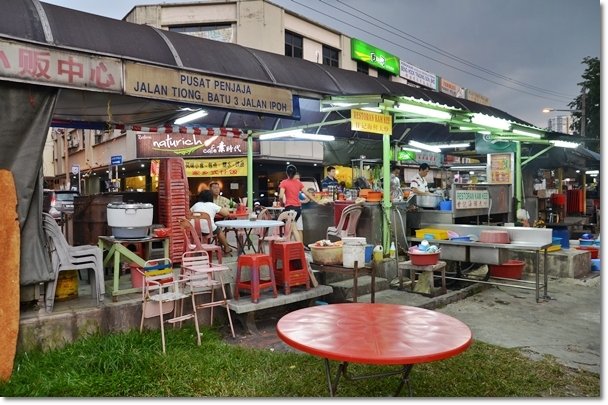 Let me share this dining experience at a restaurant that’s more of a shack/stall than anything on Jalan Ipoh. 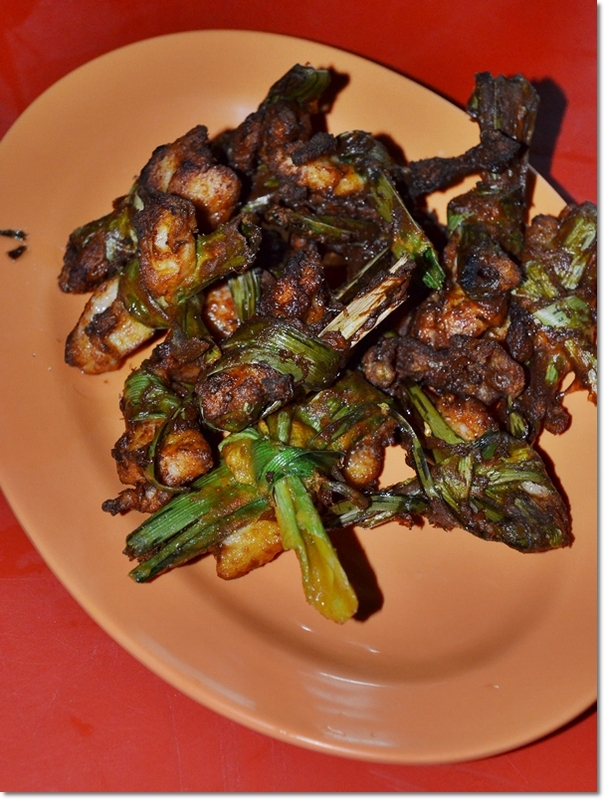 Pandan Chicken’s one of their best bets. And this could be the ONLY Thai-related dish throughout their menu. Wait, WHAT menu? Sorry for the poor quality of the photos. The stall was kind enough to usher us to a relatively quieter corner, and promising an extra shot of fluorescent light (mobile one, like those in pasar malam) to assist in the eating, and most importantly …. the photography. I was the only one brandishing a camera that evening, and the lack of a good flash unit/speedlite/whatever-you-call-those-larger-than-the-camera-body-apparatus-sticking-up-from-above was kind of intimidating when seated in a dark corner. Plus, you would not want to stick a piece of cockroach (or worse, half of it) into your mouth unknowingly … all the while wondering how on earth can a piece of black bean grows that big. 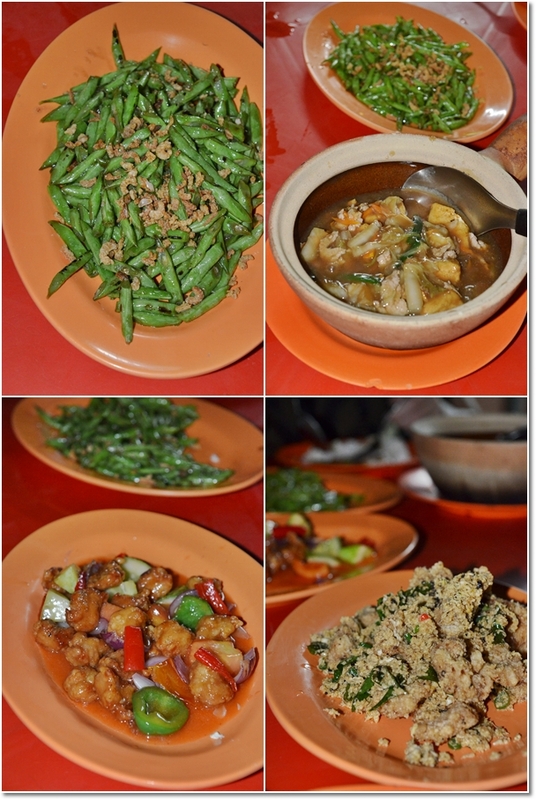 Clockwise from top left : French beans with dried shrimps, Claypot Tofu, Butter Grouper Fish Slices with curry leaves and what seemed like dessicated coconut and Sweet and Sour Pork. Anyway, to cut a long story short, the lamp went off. BEFORE the food was served. And yeah, we ate in the dark. And I had to resort to using the in-built flash from the camera. With no qualms this time, as slowly … the passion to produce tip-top photographs and elaborately detailed and wondrous stories took a backseat lately. Like going backwards, someday I may just resort to using my phone to snap all my food shots (circa 2008 … nostalgia, anyone?). Or a review without any photos. By the street, shaded by large trees and go barefooted if you will …. and embrace the nature surrounding you. Just ignore the zooming cars along the main road of Jalan Ipoh. You know you can, when you’re busy tucking in like a TRUE Malaysian. Passable. Kind of disappointing, actually. The French beans and Sweet and Sour Pork were okay, but the fish was not. And the fish fillet came with BONES, and the “Nai Yau” (butter cream) base was an awkward combustion of flavours, with soggy traces of either; dessicated coconut or egg shreds. The Claypot Tofu was as generic as they come, while the best part was … the Pandan Chicken had more screwpine leaves than meat. Underwhelmed. But the company was good. Sometimes, that alone is worthy of a passable feast. And for 2012, I won’t stop writing. That’s a promise. Do bear with the inconsistent flow of thoughts, frequency of reviews, or … the sheer insanity of it all. the pandan chicken is pretty black, haha! Really?! At night woh? I did not know this actually. Was following some friends to this place one lazy Sunday eveningg. Oh … I know already! Is it laksa or curry mee? I remember my colleague once told me there is one famous curry mee stall at night.